My mom was always an au-naturelle kinda gal who loved real flowers but not perfume. So she never wore scent, but preferred floral prints instead, and would always pick beautiful flowers to cheer me up and weave a beautiful crown of spring flowers for my birthday. She even put edible blossoms in my salad (nasturtium and wild garlic flowers), and would cut the radishes into flower-shapes to encourage me to eat them. Although she never worn perfume - she always loved aniseed tea and caraway-studded breads. So it comes as no surprise that to this day, I associate her with anise and and the enigmatic notes of violets and iris, which I find as soft and mysterious as herself and the midnight-blue crushed velvet she liked to wear. Kinda like what I imagined l'Heure Bleue when I read about it and before I smelled it. It was only years later that she told me that indeed violets, anise, chocolate and vanilla were her favourite smells (before she lost her sense of smell almost permanently due to chronic colds...). And she also loved the lilacs she picked for me in her first visit to Vancouver (which sadly ends tomorrow...) Years ago, I created Indigo perfume in her honour, and I've put anise, caraway, boronia, violet, carnation, orange blossom, frankincense and amber in it... Now I'm thinking that although I was probably on the right track - I should make her another perfume, and hopefully she could smell it occasionally - with cacao and vanilla absolutes, violets and anise. What perfume did your mom wear as you were growing up? Or what scents do you associate her with? 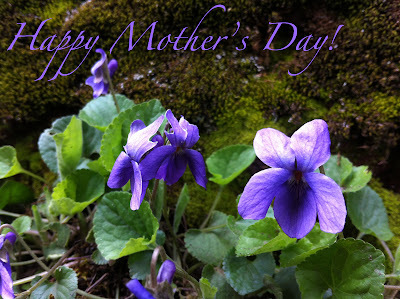 Leave a comment and enter a draw for a mini of Viola, my violet soliflore, a decant of Patricia Nicolai's Sacrebleu and a few other goodies... And - a quick reminder, that today is the last day of my Mother's Day free shipping online event. My mum didn't wear much perfume, she did use lemon cologne though and later on she loved Lancome's Tresor that she still wears! My mom wore White Shoulders most of my childhood. She still wears it occasionally. I also remember her wearing Jafra lotion, she smelled like almonds. I bought her other perfumes as a teenager that she wore like Samsara and Safari. Then introduced her to some natural perfumes too more recently. She always returns to White Shoulders. I can remember a bottle of Paco Rabanne on her bathroom shelf, can't recall a smell. Lots of Eau d'Issey in my earlier adulthood. An aunt I can remember wearing lots of Antilope. Three that I remember my mother wearing were White Shoulders, L'Air du Temps and Forever Krystle. Hi Ayala! Happy Mother's Day. And same to you Dionne :). Please don't enter me into the draw. My mom has always liked to smell good. The scented memory I have of my mom is Emeraude perfume. Funnily, she doesn't remember wearing it. But she did, lol. I pretty well buy all of my mom's perfumes for her nowadays, she is only willing to spend money on cheap drugstore perfumes. She's a fan of orientals, like myself. Her favourite perfume is Ange ou Demon by Givenchy. She has amassed a small collection of fragrances......Hypnotic Poison, Angel, Flowerbomb, Must de Cartier and most recently for Mother's Day a bottle of Nuit de Noel. Tresor is lovely! And so is lemon ;-) I think moms have a special scent that we all recognize them by regardless of perfume wearing habits though! White Shoulder is such an iconic scent. I'm so jealous that you can share your perfume love with her - Samsara & Safari are excellent choices! Ahh - another White Shoulders lover! White florals are the best sellers, did you know that? l'Air du Temps is quite something. Never heard of Forever Krystle though. There's always something to discover, isn't it? Though my mother occasionally wore Chanel No5 (EDC) that she had been given by one of my much older sisters, I mostly associate my mother with the smells of her flower gardens, especially lily of the valley, lilac and roses. In her later years she frequently wore the Flora Danica I had given her. It was a beautiful aldehydic floral with a powdery drydown that came out in 1980 and is, sadly, discontinued. I still have one of the empty bottles with its handpainted flowers. Hello Ayala! Happy Mother's Day! Actually my Mother is the reason I love perfume so much today.. She collected them from travels abroad and gifts received from visiting relatives. Whenever she was going out she would call me up and ask for advice regarding which perfume to wear. it was a very fun moment for me. I would always associate Lancome's Tresor and Guerlain's Shalimar with her as these were the only perfumesnmy Father would buy for her and ther were on heavy rotation.. Thank you for this draw and I do wish you have a scented Mother's Day! My mom doesn't wear perfume, either. I associate her more with the smell of her flower garden - she loved gardening for butterflies. I also particularly remember the datura in her garden - I found mysterious, weird, and strangely attractive. Mine wears Femme, both pre and post reformulation. I got her a vintage mini of the old stuff, and it smelled just the way I remembered it. Aqua Net unscented hairspray - which does have fragrance added, "unscented" not being the same as "fragrance free". =) I can't remember her ever wearing perfume. 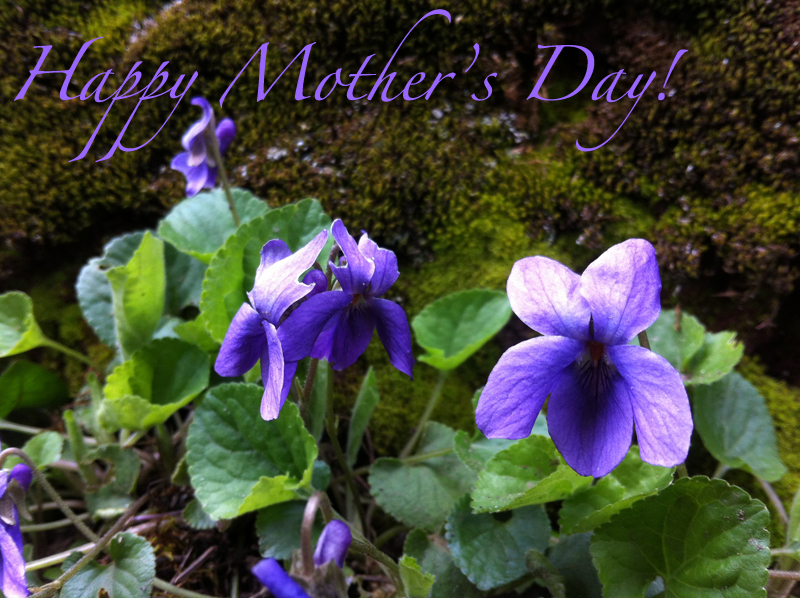 Hope you had a wonderful Mother's Day as well! How does the N.5 EDC compare to the parfum? Is it more like the EDT? Thanks for sharing the description of Flora Danica. It does sound very motherly - as are LotV, Lilacs and Roses! Flowering garden is such a wonderful way to remember your mom by. I don't think it's a coincidence that flowers and gardens are a prominent feature of Mother's Day symbols (i.e. : wearing carnations, enjoying tea and garden parties, etc.). Your mom smells fabulous! Femme is one of the best perfumes in the world. Have you tried Anima Dulcis? It's a beautiful variation on a similar theme - very womanly scent, and similar to the Femme reformulation, but not as loud as it could be. Is Aquanet the same they featured in Mad Men? I thought that was hilarious... How would you describe the scent?